“Since childhood, I have been quite intuitive,” says Andrea Aizlewood, a SWIHA Online graduate. 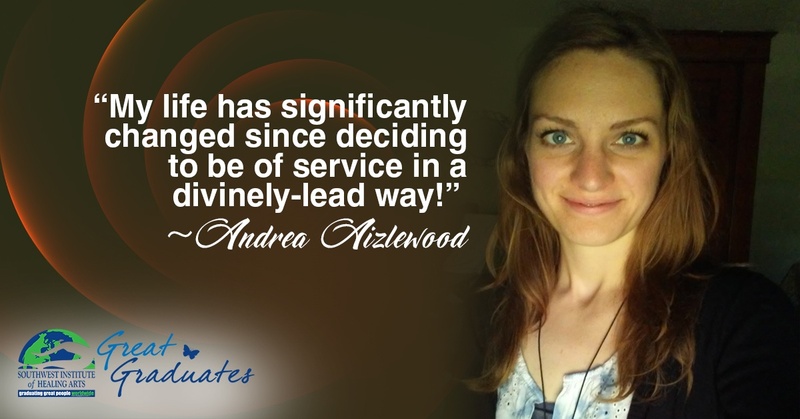 Andrea always knew that she had unique spiritual skills waiting to be discovered and refined; she could receive emotions from those those around her, recognize synchronicities, and even sense energies. Her gifts were so strong, however, that they initially intimidated her. She is excited! We are excited! 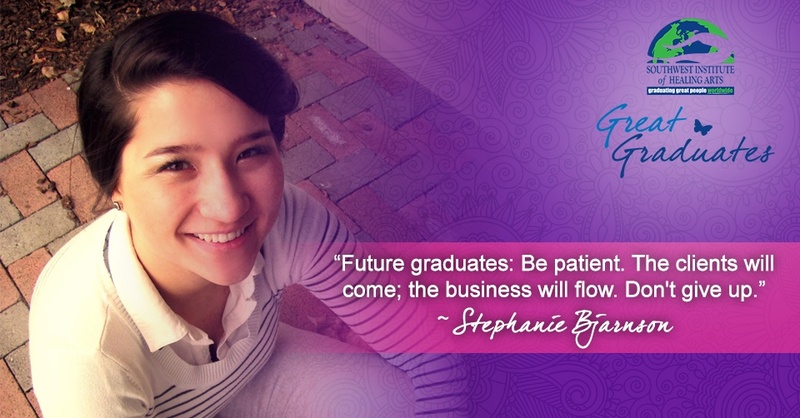 And the world will soon be excited for one of SWIHA’s #GreatGraduates, Brianna Bedigian. She is releasing her first book this next week. It’s entitled Healing Footstep to Footstep. 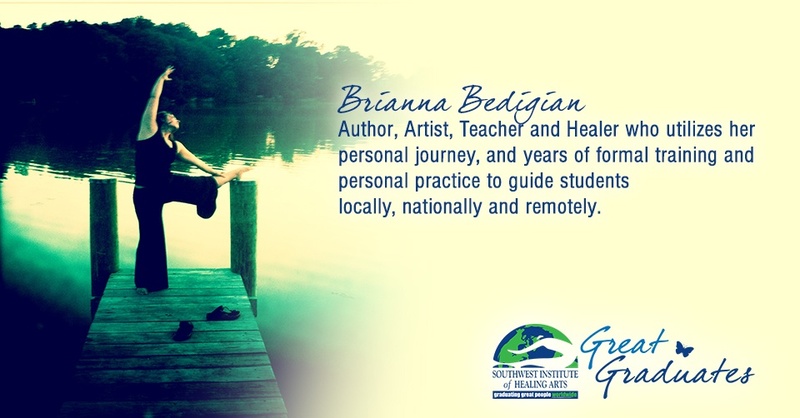 Brianna is a highly trained and gifted healer, and a graduate of the SWIHA Hypnotherapy program. After being diagnosed with chronic fatigue syndrome, Brianna dug deep to create and undergo her own healing process, and chronicled it through journaling and photography. After her recovery, and years of optimum health, Brianna looked back and reflected on the narrative that unfolded. One step at a time, footstep to footstep, her healing occurred over time. Brianna realized her recorded journal entries can now serve as an abstract primer-of-sorts for others suffering from any type of illness. 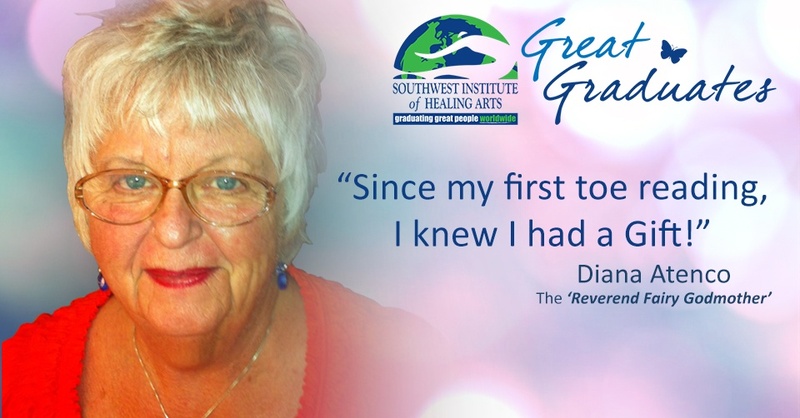 Several years ago, I first discovered toe reading at a Celebrate Your Life conference in Scottsdale, Arizona. 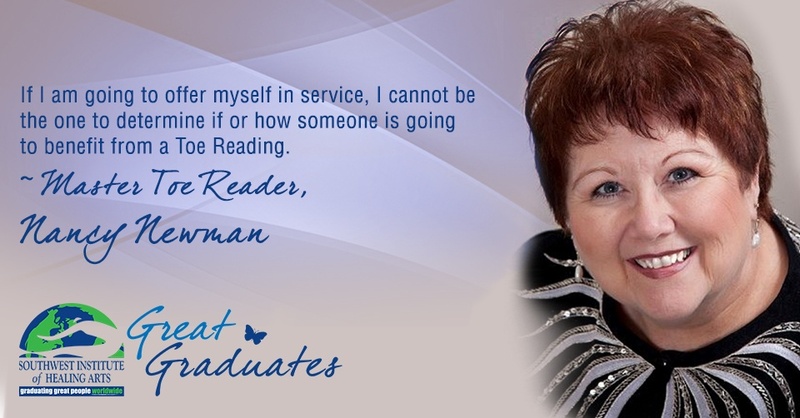 I had flown to Arizona a day early to take an all-day workshop from James Van Praagh, a clairvoyant, spiritual medium, and New York Times bestselling author of Talking to Heaven. While autographing my book, he told me that I should get a toe reading and that I should do it that day while the lines weren’t very long because tomorrow the lines would probably be a three hour wait! To be honest, I silently rolled my eyes and thought, “Good lord. Toe Reading? What will they think of next?” Little did I know that one little decision would affect my whole life! I got my first toe reading and was blown away. In 10 minutes, the Toe Reader revealed to me more about myself than my family would have been able to! Being a natural skeptic, I thought that maybe she was just psychic, or a good guesser. So I went to a Celebrate Your Life in Chicago and received another toe reading. With the same result, I was beginning to think that it would be difficult to have two good guessers in a row. Not to be deterred, since I still was not convinced, I went to yet another Celebrate Your Life conference, and this time my reader was Barney Cannon. He was so accurate that I decided right there I had to find out more about this. So I rearranged my conference schedule so that I could attend the short workshop from KC Miller, the author of Toe Reading: Are You Walking Your Destined Path. Toe Reading is a unique and captivating healing art, which uses active listening, powerful, soul-searching questions, and deeply skilled insight to help people create change in their lives. It is the art of sitting before someone and witnessing their very being, their life story. Toe Reading is based on the theory that each individual records a holograph of the story of their life and stores it within the body. The position and shape of the toes contain this story, which can be read by a skilled practitioner. 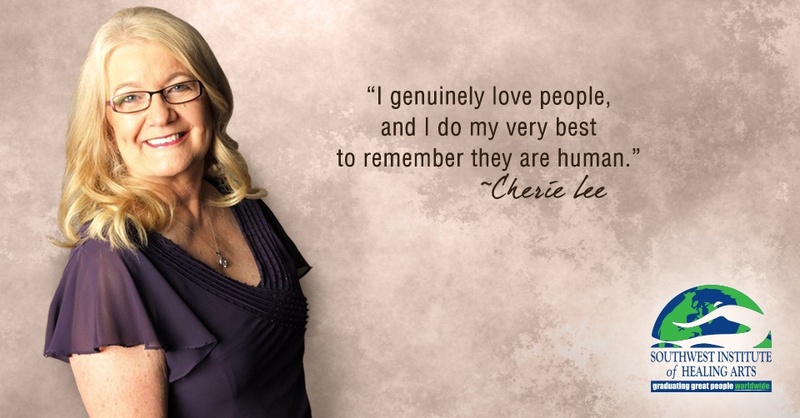 I am Cherie Lee, aka Amy Jamison, the published author of Visions From Above / My Journey ~ My Destiny, a book about my near-death experience and 42 years as a visionary/intuitive guide. If you’ve ever been to the Healing Pages Bookstore on SWIHA’s campus, you probably have noticed the huge selection of decks of cards. I had purchased an Angel Card deck by Doreen Virtue in 2014, when I met her at the Hay House Writer's Workshop in March 2014. This workshop was the foundation for me writing and self-publishing my first book in June 2014 with Balboa Press, a division of Hay House. In October 2016, I took this same deck of cards with me to one of my holistic business development classes—the one on-campus (although the Entrepreneurial Suite is also offered online.) I remember laying them out on the table, and afterwards, my teacher encouraged me to go live on Facebook that evening and market myself by doing an Angel Card Reading with her. That was such great advice. 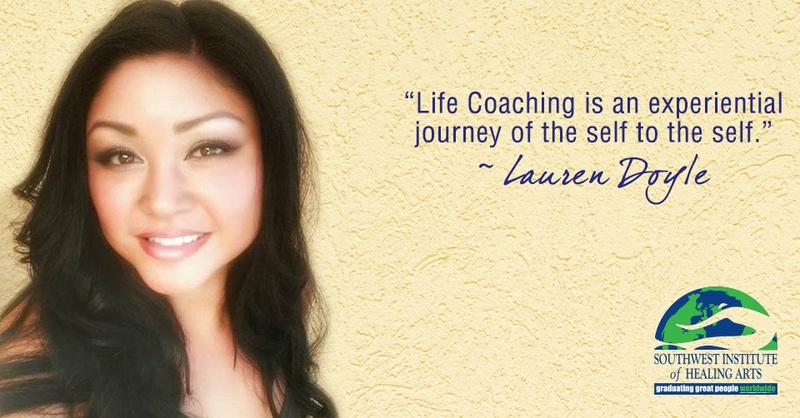 Lauren Doyle has been life coaching for over a year now; allow me to share her reflection, “Both my own experiences with self-work, as well as finding myself as a mentor and guide to friends and family, has led me to life coaching. I found that throughout my different careers and jobs, I was often sought out for my knowledge and advice. I finally decided that there was a gap and the need that I could fill.” When Lauren coaches her clients, she utilizes the Rewriting the Story worksheet the most. She finds that this tool allows clients to reflect and rewrite, not only past experiences, also to stop the train of automatic negative thoughts (or ANTs) that can so easily take over, freeing clients to move on and write the future they really want. 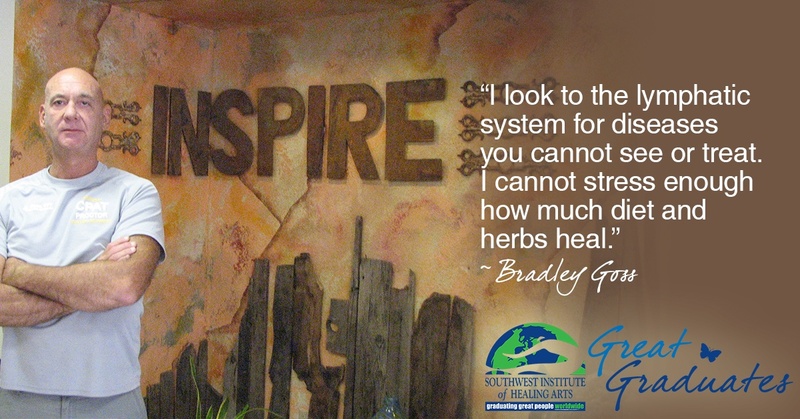 Like so many other students that end up at Southwest Institute of Healing Arts, Steven Jaggers also found his way here through a need to find a holistic solution to an afflictive situation. Although he was originally born in Orange County, California, he spent the majority of his childhood in Arizona with parents who struggled with heavy drug addiction. After graduating high school, he entered corporate America, joining a microchip company. “I knew then that I wanted to help people because for me, it was more fulfilling than just turning a profit.” Almost like a consequence, he got laid off and his mother desperately needed help, so he moved in to take care of her. She was having difficulty with prescription drug abuse, and he knew there had to be another option to help treat her: “We needed a different way to deal with her underlying illness, rather than the ‘Western medicine approach’, which is to just mask symptoms. I began to search for holistic ways to treat her and the pills’ side effects which created even more problems. I knew there had to be another path. I really felt like we had been tormented by Western medicine." However, Steven had his own difficulties when he was diagnosed with scoliosis, and at one point, his doctor told him that we was going to need spinal surgery. He felt strong resistance to this treatment, as he did not feel surgery was the best option for him. Well, he was right. 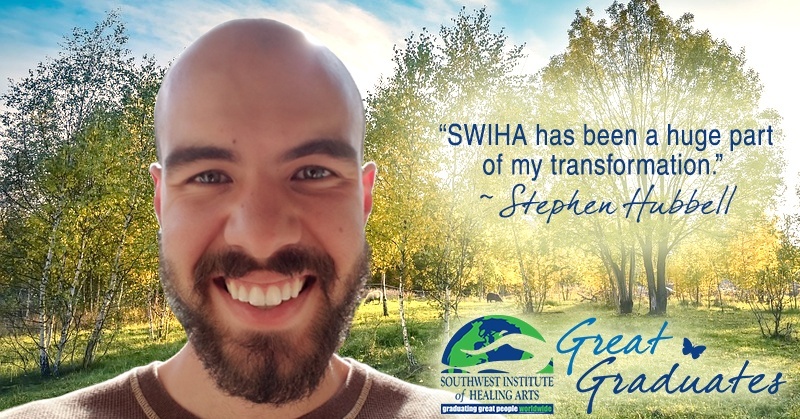 Today, his spine is healthy, and with the treatment of massage and soft tissue manipulation, most of which he experienced through his program at SWIHA, he was able to get out of pain and avoid surgery. Living Holistically on a Spiritual Adventure! 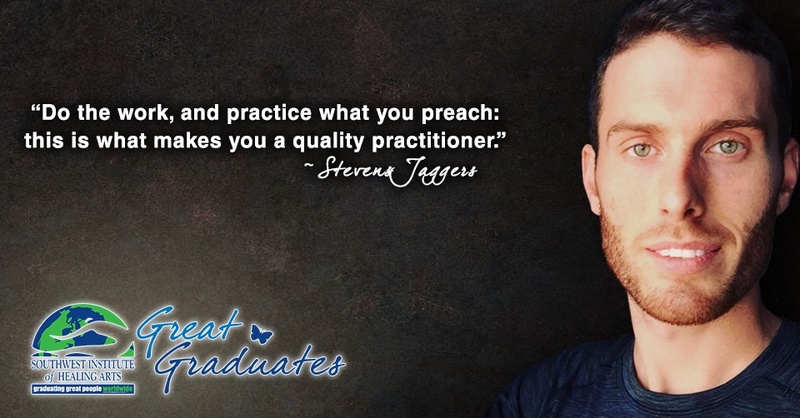 As far as massage goes, Stephen continues to stay focused on studying and applying for his massage license in the state of California. He plans on combining massage, polarity, and astrology together to form the perfect business trine. In the meantime, he really enjoys giving his friends short massage sessions to help them feel better. He is currently doing astrology readings for both individual and couples sessions. “I enjoy working with clients on a longer term basis. For example, it’s awesome to work with someone for three months at a time so that I can really help people free up their minds and their lives for more enjoyment, love, pleasure, etc.” To supplement his energy work, he is currently working at Camp Cedar Glen, which has awesome programs like archery and rock climbing, and there he helps maintain the grounds and campsites and enjoys being immersed in nature!